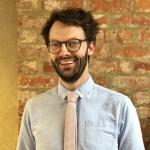 Rich Ford – a director from the graphic and retail design consultancy Sherlock Studio, whose clients include Tesco and the British Exploring Society – shares his thoughts on how physical stores can make the most of their unique characteristics in the battle with online retailing. I was really interested to hear at Mintel’s last Bitesize Briefing on the subject of High Street vs Online, that 85% of consumers have bought something from Amazon in the last 12 months. Figures like this underline the need for retailers who are primarily focused on bricks and mortar to ensure they’re giving customers a great reason to visit their stores. But what makes for a ‘great store’ in the modern world? ‘In-store theatre’ and ‘experiential retail’ are buzz words that tend to be thrown around, but a great offline retail experience doesn’t need to be costly or complicated. It just needs to make shoppers’ lives easier, make the customer journey more pleasant or inspiring, and give them a reason to travel to a store. As a design agency focused on helping retailers create the best in-store customer experiences, we keep abreast of in-store trends, and how bricks and mortar retailers are enhancing the offline retail experience. Here are three ways in which these type of retailers are seeking to improve the in-store experience. Choice is a wonderful thing. 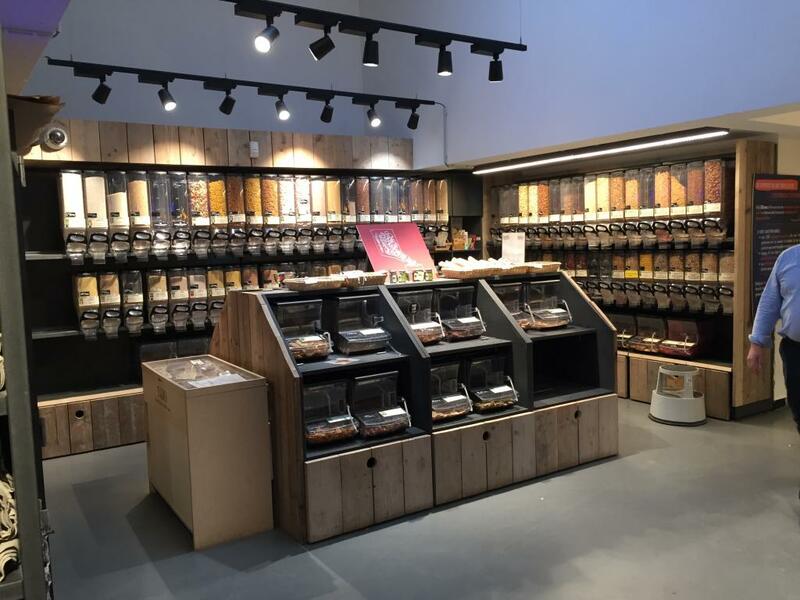 From refill stations where customers can select the quantity of dry ingredients they want, to ‘harvest your own herbs’ stations and freshly squeezed orange juice points, retailers are ramping up the ability for consumers to literally take their shop into their own hands. Allowing shoppers to help themselves has multiple benefits: it helps put them in touch with their food, creates a change of pace amongst the rows of shelving, and can help cut down on waste by encouraging people to buy only what they need. Putting customers physically in touch with their food is something that online cannot offer. Retailers and food service operators alike are incorporating natural vegetation into their store and restaurant designs: from Apple’s new generation of stores featuring tree-lined avenues, to McDonald’s recently opened Chicago flagship, which incorporates trees as well as a floating garden of ferns and white birch. 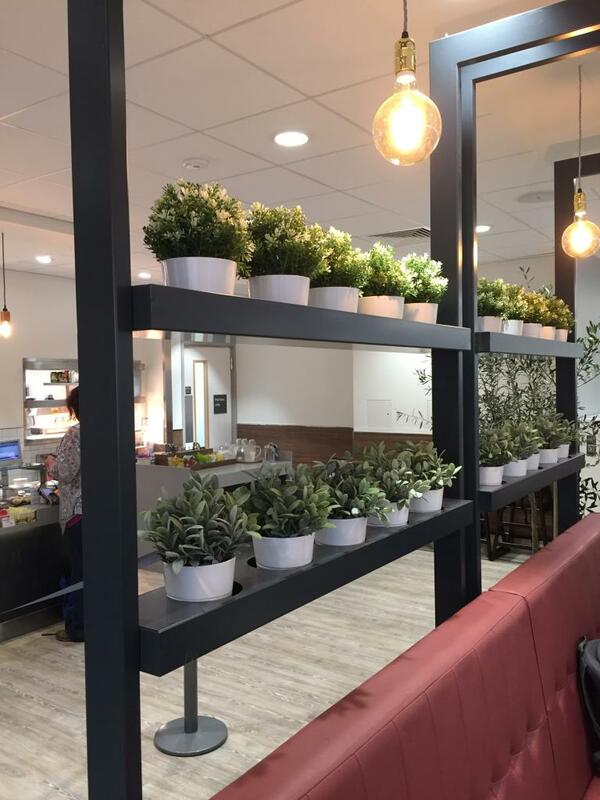 The colour green is typically seen as a calming colour, but using plants and trees to break up spaces also serves a practical purpose in ‘softening’ retail environments, breaking up the straight lines and corners of aisles, shelves etc. Living plants can also help put consumers in touch with their food in-store, where food crops are grown. Concessions are nothing new, but we are witnessing a new wave of in-store retail collaborations, within both the more luxury and the more everyday ends of the market. Stores that offer other brands to shoppers that are aligned to their shopper profile/mission can offer convenience and enhance that store’s own offer. 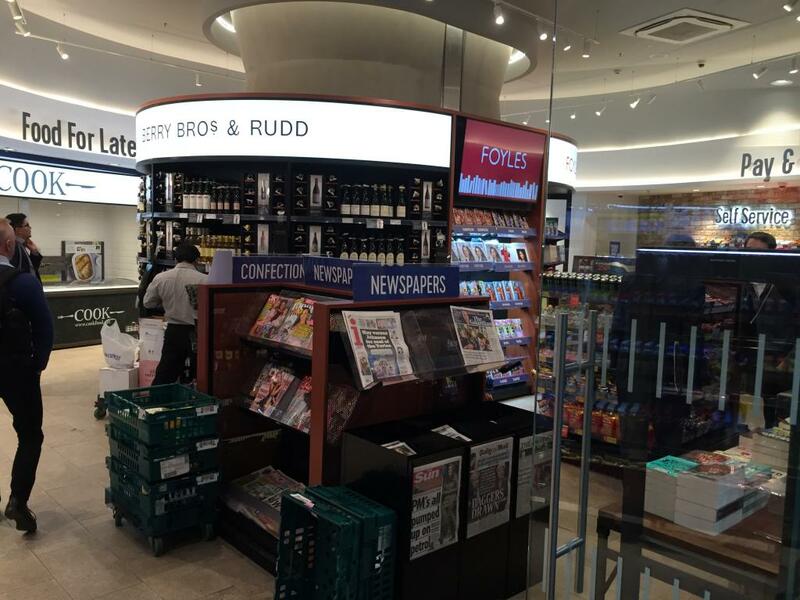 Take, for example, skincare brand L’Occitane’s London flagship store, which features a Pierre Herme macaron counter, and Sainsbury’s food to go concession within WH Smith’s King’s Cross store. Meanwhile, SSP’s new Urban Express format at London Bridge is a new addition to the retail landscape, as it hosts a Cook premium frozen food freezer, a Berry Bros. & Rudd wine display and a Foyles book display – ideal for the time poor, cash rich commuter who wants a bottle of wine, a good read and a premium frozen ready meal. Rich Ford is Associate Director at Sherlock Studio with a background in retail journalism, trends and insight. If you missed Mintel’s Bitesize Briefing on the High Street versus Online, then you can watch it here. And you can find out more about the next Bitesize Briefing on 15th November on the Changing Face of Grocery Retailing here.